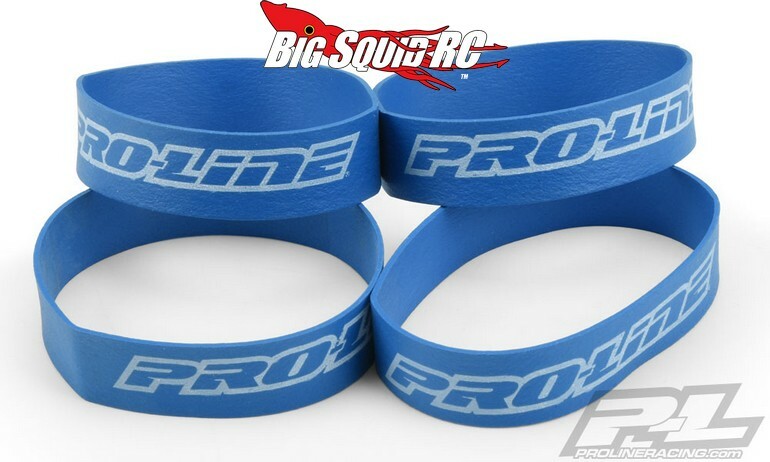 Pro-Line Tire Rubber Bands « Big Squid RC – RC Car and Truck News, Reviews, Videos, and More! Pro-Line has just announced new Tire Rubber Bands. Their tire bands are designed to hold the bead on your tire tight while you glue it to a new wheel. This helps to ensure a proper bond between the tire and wheel, thus keeping your tires from coming off while bashing. Pricing for a set of the tire bands is just $6 and they have a part number of #6298-00. Use This Link to get more details over on Pro-Line’s website.